Most of us content creators (anyone making content:bloggers, vloggers, instagrammers, etc.) are somewhere in between ‘up til 1130pm the night before post date‘ and ‘I’ve planned this draft for months cause I’m organized like that‘. It is great to have wiggle room for those blog posts that happen to write themselves at 1opm the night before. 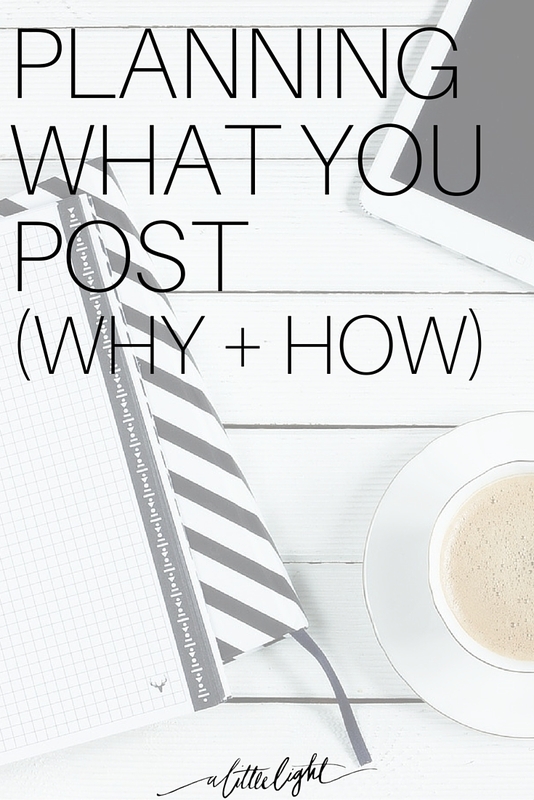 It is even better to have a plan for the posts that you want to share with your readers. This plan is called an editorial calendar, putting all your post ideas onto a calendar. If you have created an editorial calendar before, you know some of the benefits. The biggest one is that it allows you some ease in knowing what is next rather than struggling for a brilliant post idea at crunch time. This also allows you to chip away at the draft post, adding more to it as you think about it. The other big benefit is that it allows you to map out the journey you want to bring your audience along for. It allows you to be mindful and proactive with pointing all of your content (in your blog and in your social media) in the same direction for your overall blogging/business goals. For instance, when I started up a new site on simple living, I drafted out all the posts for the whole year. I paid attention to the seasons, the holidays, the process of purging and organizing I would be going through. I ended up with a year of post ideas laid out in an order that made sense. In an order that would bring my audience along my journey with me and result in me demonstrating that I’ve acquired experience and knowledge in the subject of simple living to act as a resource to others. Of course, we can start all things with prayer. 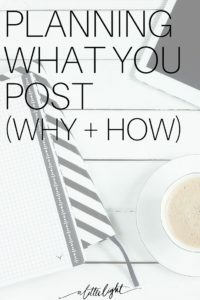 I’m sure it might be foreign to ask God how he wants to use your Instagram feed or blog posts, but chances are you are reactively asking along the way. God has a way to inspire you to carry out your good work in all you are doing online. Before you put post ideas on a calendar you need to compile all of your draft posts and scribbled post ideas that you have scattered around. Then sort them into common themes. Look at each idea to see if it fits in with your site, or if you need to alter it. Always consider your audience. What posts have they responded well to in the past? What have they asked for more of? Consider how many times a week you want to be posting. Consider where you want your blog to be going, the story you want to be telling, the audience you want to be speaking to, the messages you want to be reiterating. Reassess all your post ideas against these criteria. Start laying them out on a calendar. It is good to have an overall plan for the year, but don’t feel like you have to fill every slot for the entire year. Leave room for flexibility and revisit your plan at the beginning of each month. There are different strategies you can take when creating an editorial calendar. The series. If you look at the topics you are heaviest in, you can see the opportunity to create a series. A blog series is a great way to help you establish yourself as an authority on the topic and increase reader engagement. For instance, if you had a lot of post ideas about different ways you like to preserve foods you could do a home preserving for newbies series. You can work up excitement over the series through your email, notes in social media and dropping hints in blog posts. The trends. Another way to plan your content is to consider what is trending. This includes considering holidays and seasonal events. You can research and predict the posts you expect people to be searching for at different times of the year (e.g. homemade ice cream recipes in July or how to dress for a holiday party in December) and publish your posts just before their search starts. Weekly topics. You might have a few major categories for your site. For example, green living, money-saving tips and family recipes. You can work your content calendar around writing a post for each of these topics on a regular day of the week (Family Food Friday, Money Saving Monday). Another great way to add in weekly topics is to join regular post link ups (ones like #wholemama). They don’t drive the large traffic that they used to but it is always nice to write with a tribe and support one another’s work. Monthly Theme. 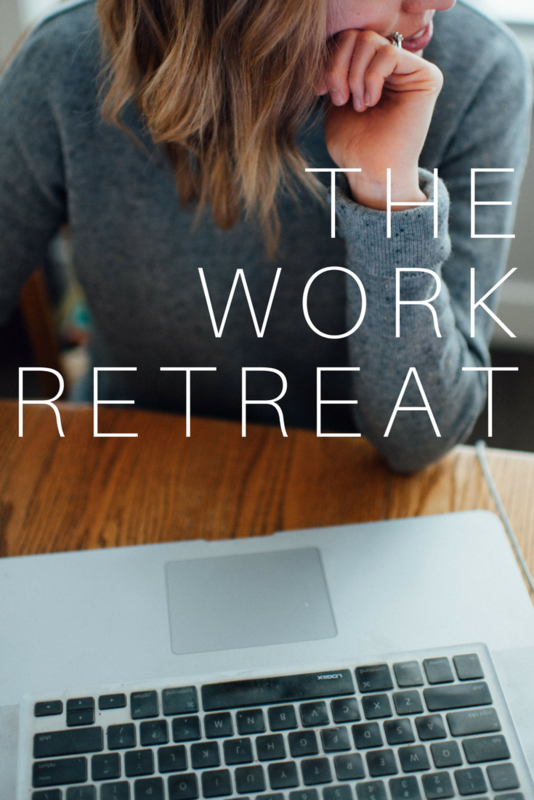 The monthly theme is something we have been doing on this blog and it has been so valuable. We keep a running list of ideas of all the themes we would love to cover and we try to write about the theme from our major site categories. For instance, we had a theme of Authenticity and we tried to consider post ideas for how it applies categories like practical social media, online with purpose, offline communities, and our identity in Christ. Spending an entire month in a theme really gives you the chance to research it from multiple angles. It has been very eye-opening and educational. The storyteller. Some bloggers are writing to sell content, some to educate, some to inspire, and some are writing to simply tell their stories. If you are a storyteller you might only blog as the mood strikes you, on whatever has happened recently in your life. This strategy might often be stressful and sporadic. Be proactive with your story telling. Think of the stories that are already in you to write and start giving them a slot on the calendar. Consider the overall messages that are on your heart to share with your readers. Think about the journey you are on and predict some stories you will be telling in the coming months to take them on that journey. Think of theme words that come to mind for your blog, you can use them as writing prompts. Draft up post ideas and place them on the calendar. It really doesn’t matter if you plan your content using one or all of these strategies, the most important thing is to make a plan. If blogging is something that ‘just happens’ you will often feel unsuccessful because you will always feel like you are playing catch up just to feel behind again. Just remember, never post just for the sake of posting. Only post it if you feel it is worthy of your reader’s time. And we can’t leave you without telling you some helpful ways to plan your content. Just remember, no matter what tool you use, the most important thing is to keep it all in one place. Trello is our go-to (the basic version is free!). If you love lists and are visual, you will love Trello. You can make these visual boards of lists, add in notes and drag them around. Here is a mock-up to give you an idea . . .
You can add in colour -coded labels (and filter by them), add dates to make a calendar view, you can search, add in checklists, images, and so much more. Plus there is an app so you can add in post ideas on the go. Elsie Road Magazine has more tips on how to use Trello. If you are leery about yet another way to manage your online work, Trello won’t disappoint. Here is our Trello recommendation link if you are interested. Google docs is another free tool that you can access from your iPhone and computer. Google docs is popular because it is simple and searchable. To make a calendar you can create a table or a spreadsheet and add all your post ideas. When I started planning blog content I wrote it all out on a big sheet of paper. Now, even if I use Trello for all the post idea organization, I often copy the calendar out by hand and then add the dates in Trello. I need this lady to come organize my spice cupboard because she can clearly master the multiple needs of a multipurpose and varied collection. If these tips have helped you, please Pin this post!